The wording there seems to pin all of the blame on Hair not having “broad appeal,” but Deadline points out that there is some other context worth considering. For starters, the ratings for Fox’s recent Rent production weren’t great, suggesting that people might not be as crazy about these live musicals as they were a few years ago. 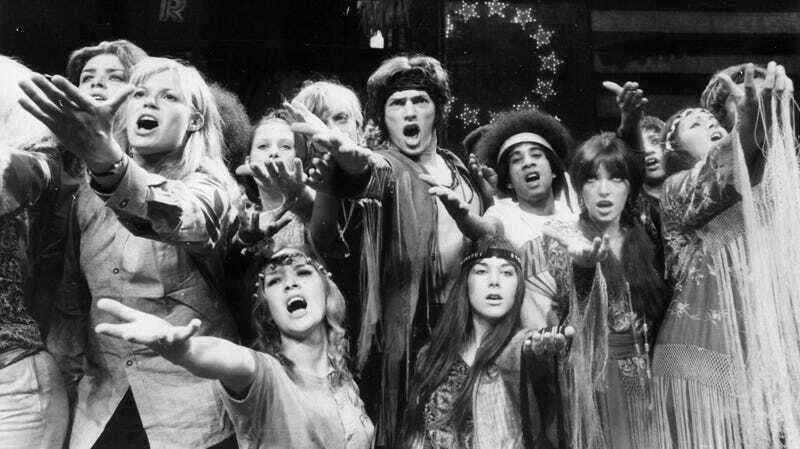 Oh, also, the planned airdate for Hair Live! would’ve been the same day as the series finale of Game Of Thrones, and going up against that would’ve been as stupid as flying off to Vietnam to fight in a pointless war for the man. NBC has no plans to do Hair at a later date and any future musicals have not yet been announced.